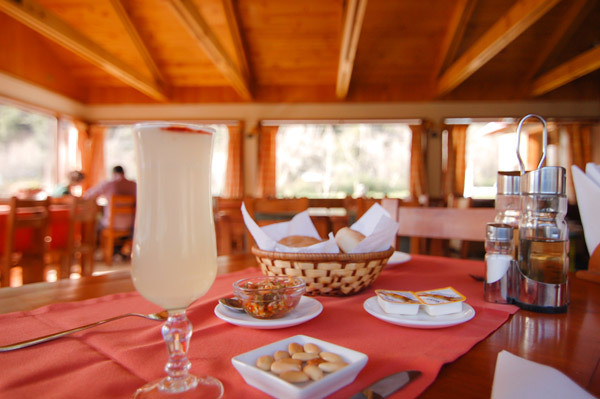 A simple kitchen, but deliciously seasoned in all of our preparations and with touches of our roots, that is what you will find in Restaurant Parque Almendro. 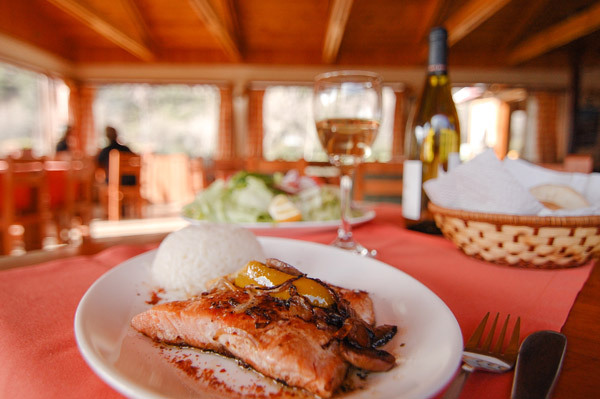 Our recipes are inspired by local gastronomy with typical preparations from the North, Center, and South of Chile but with our own personal homemade touch. 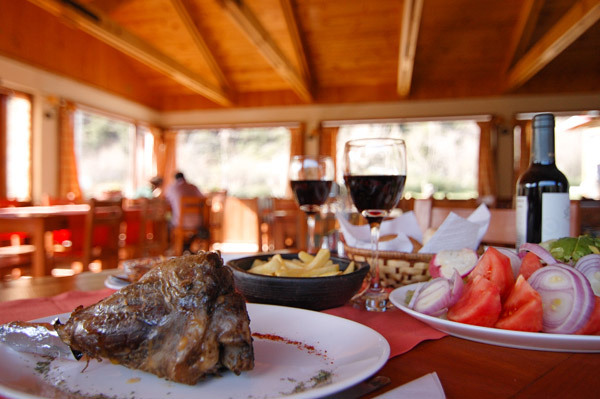 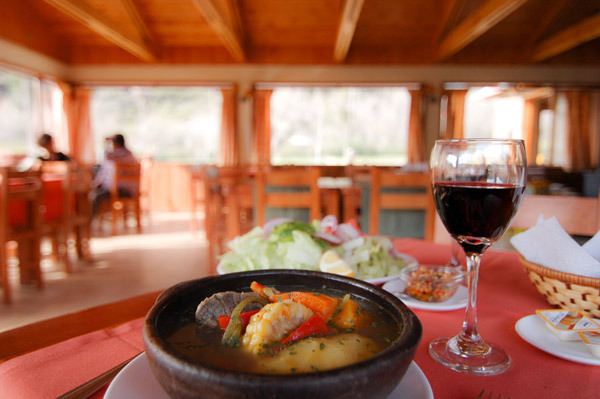 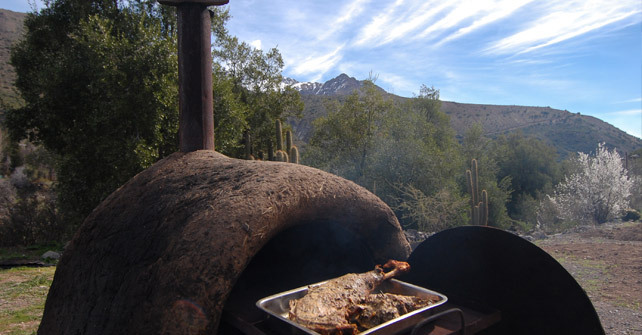 At Restaurant Parque Almendro you will find Cordero Magallánico (Lamb) or Costillar de Cerdo (ribs), cooked in Hornos de Barro (mud stoves), as well as delicious Cazuela de Vacuno (Beef Stew) or Gallina (Chicken Soup), Pastel de Choclo (corn pie), Porotos Granados (beans), Pescados (fish) and Mariscos (seafood), among many other dishes according to season. 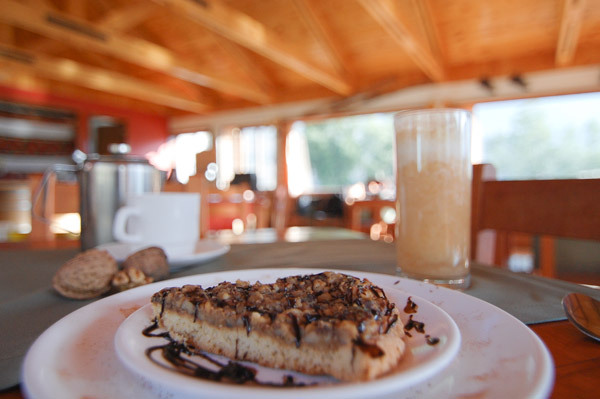 - Hours: Monday to Friday from 10:00 to 22:00 hrs. 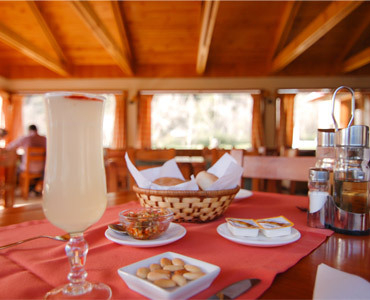 - Consumption Average p / p: $ 10.000. 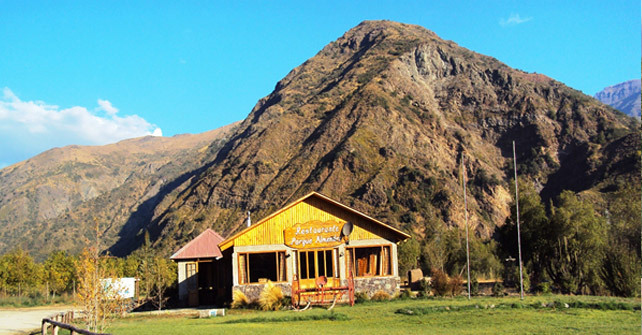 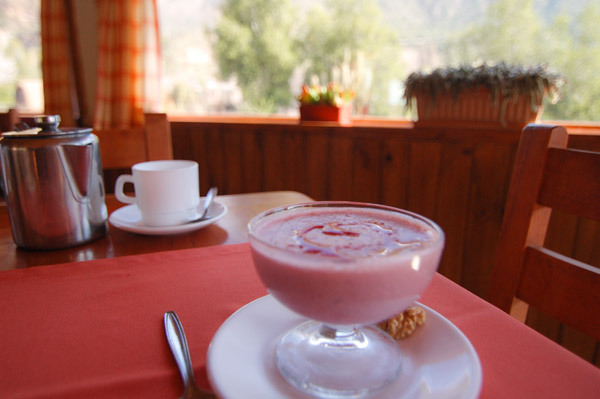 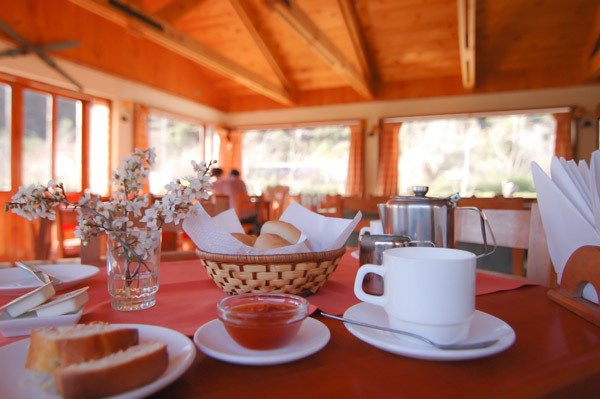 Our restaurant are located on a 10 hectare park, on the banks of the Maipo River, surrounded by native vegetation that will allow you to enjoy the mountainous environment of the Cajon del Maipo.